A super durable and tough carbon construction, these are the strongest adjustable paddles we offer. Perfect for rental fleets since they can durably withstand the daily abuse. 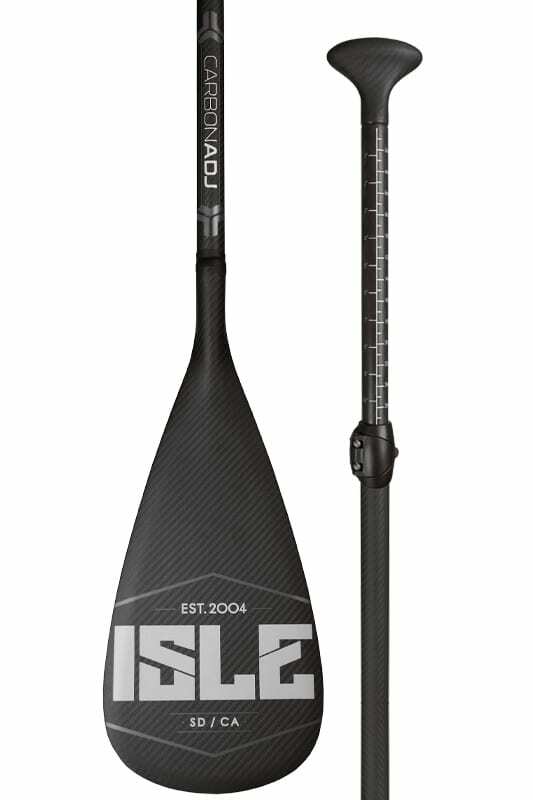 The ISLE 2 Piece Carbon Adjustable Paddle is the perfect all-purpose paddle with a very high level of durability. It features an adjustable carbon shaft that measures 68 inches to 84 inches, and is great for traveling since you can break the paddle down into 2 pieces super quick. The ideal paddle to toss around without worrying!